...a deliciously romantic Vermont experience! 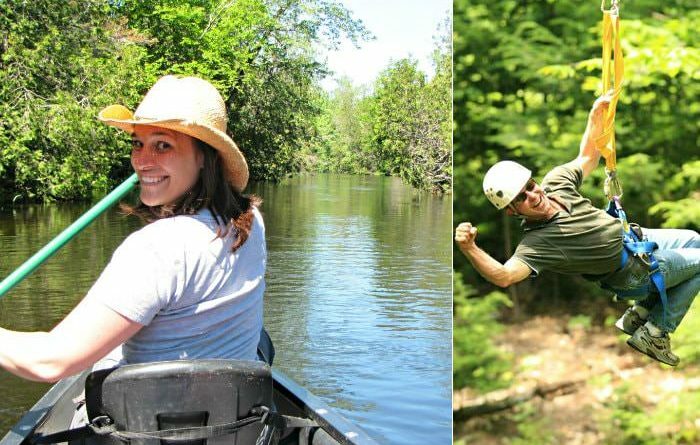 A romantic, luxurious, and affordable New England vacation destination, this 19-room bed and breakfast in Northern Vermont caters to adult getaways, relaxing escapes, honeymoons, celebrations, and fun-filled vacations. Enjoy luxe accommodations with a variety of décor styles, including traditional, American country, modern, and transitional. 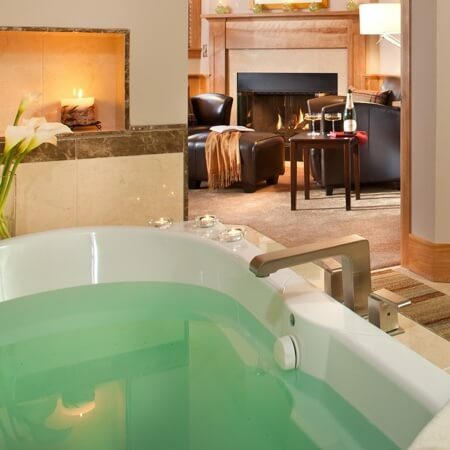 All rooms have private baths, some to include lavish double whirlpool or hydromassage tubs for two, or oversized spa showers. Most rooms and suites feature working fireplaces and glorious views of the White Mountains. By design, you will not find the distraction of in-room telephones or televisions. However, there are two guest telephone rooms available. Free wireless Internet access can be found in the common areas and some guest rooms. If you wish to cuddle up and enjoy a movie, we have a few 15” DVD players available. Choose a movie from our DVD collection or bring your own. Lauded for not only its fine accommodations, Rabbit Hill Inn is also well known for its brilliant service, unparalleled warm hospitality, outstanding innovative cuisine, and comfortably relaxing environs, including a cozy full-service Irish-style pub. Dining is a key part of any vacation experience. At Rabbit Hill Inn, great pride is taken to present outstanding cuisine and attentive service in a comfortable, unpretentious atmosphere. Each morning, enjoy a bountiful candlelit breakfast. Begin with a variety of freshly baked treats, homemade granola, fruits, yogurts, and juices. What follows, is your choice of two hearty hot entrees. Mid-day, don’t miss out on the heavenly house made pastries served between 2:00 – 5:00 pm. Match that up with a perfect cup of tea or coffee. In summer months, iced tea and lemonade are also available. Remember, all this deliciousness is at no additional charge. After a full day of adventure, there is no reason to drive away searching for a perfect dining experience. Rabbit Hill Inn is noted as one of Vermont’s best restaurants. 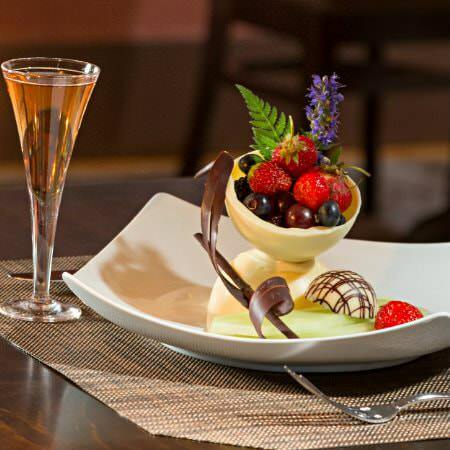 Unwind and savor outstanding creative cuisine in our relaxed and comfortable candlelit dining room. Our award-winning chef team presents innovative frequently changing menus featuring highly seasonal, local ingredients. Our Snooty Fox Pub offers a full bar, local craft beers, and a carefully selected wine list. In addition to the inn’s 15 acres of lush gardens and trails, this ideal location offers a near-endless variety of activities year ‘round. Rabbit Hill Inn is conveniently located on the border of Northern Vermont and the White Mountains of New Hampshire. Seasonal fun includes downhill skiing at Cannon Mountain, Burke Mountain, Loon or Bretton Woods. Try snowshoeing, cross-country skiing, ice skating, snowmobiling, and private horse-drawn sleigh rides. In warmer seasons, you’ll find the best hiking and biking trails in New England. Enjoy great fishing, canoeing, kayaking, swimming, and golfing at three nearby courses. No matter the season, there is so much to see and do. From tours of the Cabot Cheese Factory and Ben and Jerry’s Factory, great shopping, antiquing, covered bridge tours, to local craft brewery tours – you’ll never get to do it all. Adrenaline pumping zip line adventures, in-room massage, and everything in between. It’s all right here! Whether for just a night or a whole week, it begins with a stunningly romantic room. Add in our Romantic Escapes or Special Touches to provide all you need to rekindle that spark. You’ll fall in love all over again! 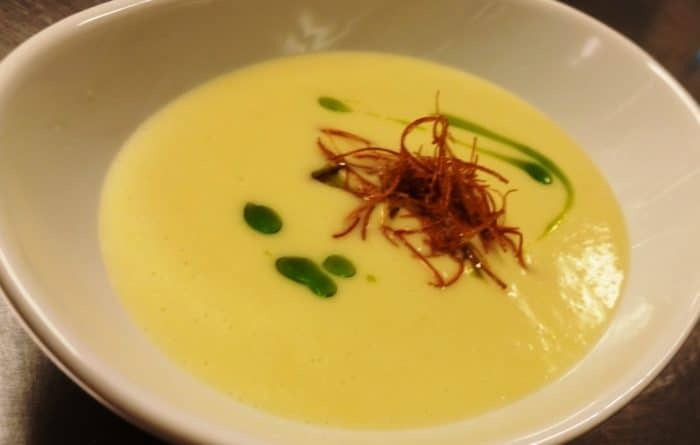 From gourmet breakfasts to artistically presented dinners, Rabbit Hill Inn’s award-winning cuisine rivals that of the finest big city restaurants… but in a casual and totally unpretentious atmosphere. No matter the season, our area is a year-round playground of fun and adventurous things to do in Vermont’s Northeast Kingdom and Northern New Hampshire. Whether it is a couples-only weekend escape, honeymoon, anniversary, or babymoon, our Romantic Getaway Add-on Package and Do Not Disturb all-inclusive packages make for a most special celebration. Fulfill your bucket list travel plans and take on new experiences. 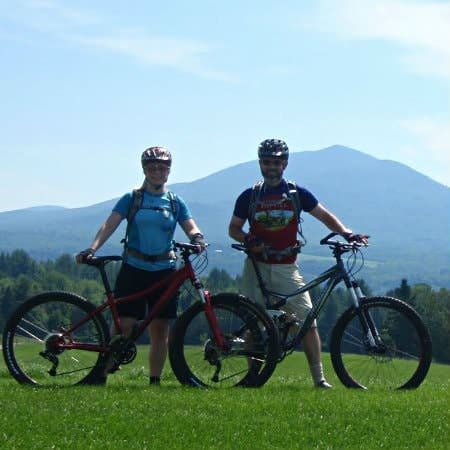 Countless outdoor adventure activities await you around our Northern Vermont bed and breakfast. No matter the season, we’ve got an adventure designed for you. Make your stay even more memorable with any of our Special Touch Add-ons. 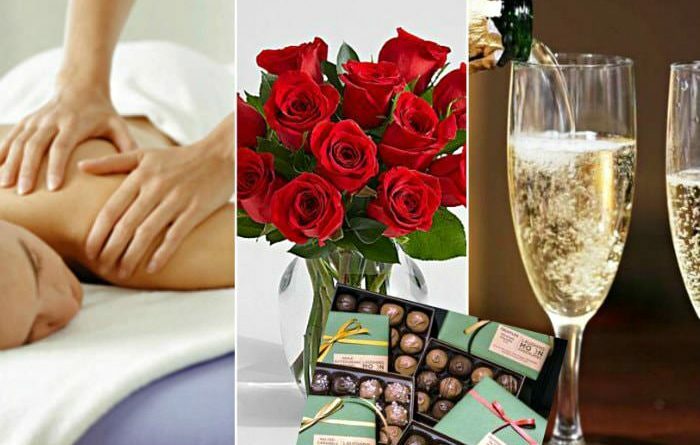 Massages to soothe, champagne picnic for two, roses and chocolates, or maybe a secret surprise party just for you! And they make a great birthday or anniversary gift for a couple staying at the inn. 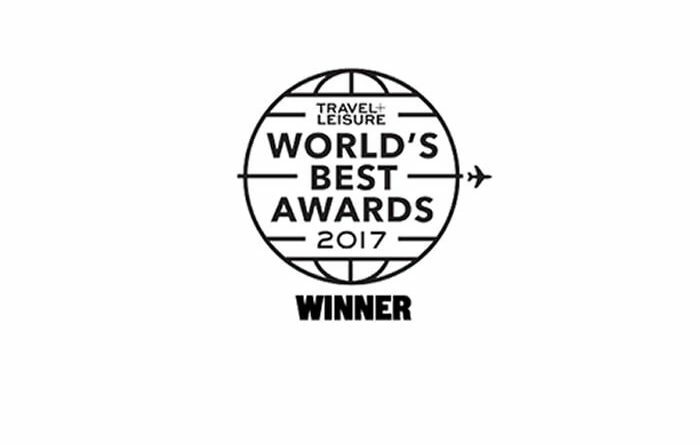 Rabbit Hill Inn has been named the 30th top hotel in the World, the 6th top hotel in the United States, and the 2nd top hotel in the Northeast by Travel+Leisure Magazine for 2017. 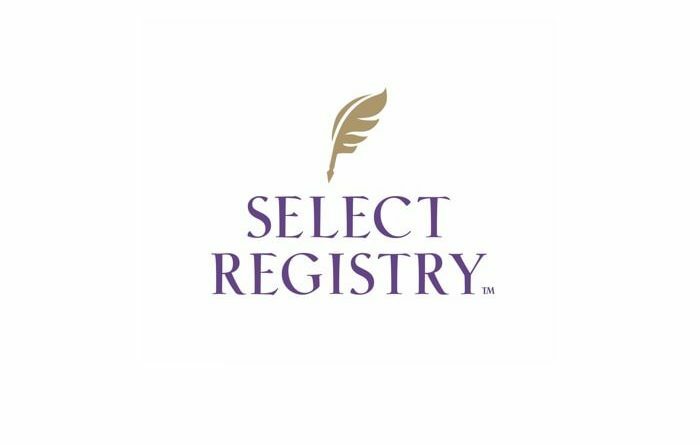 We are more than humbled to have been bestowed this honor when one considers the company we keep in this acclaimed group of unparalleled properties. 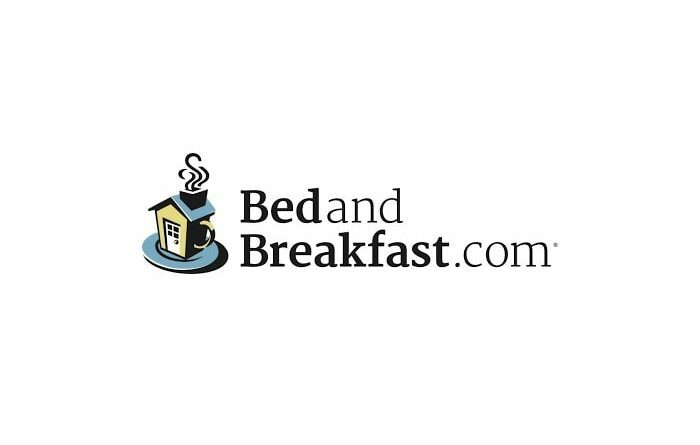 Again, for 2016, as in several years past, Rabbit Hill Inn has been named a top United States Inn by the world’s most comprehensive site for finding bed and breakfast properties around the globe – representing more than 10,000 properties. 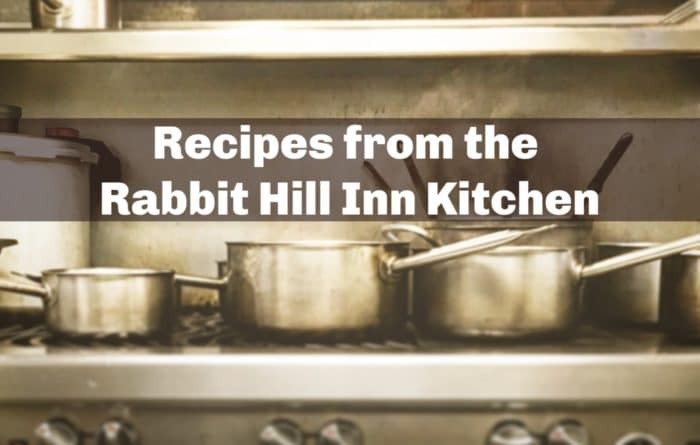 Keep up to date with the Rabbit Hill Inn mailing list. Special Packages, Dining options and much more!